Looks like it’s another busy day at the office for Nike. 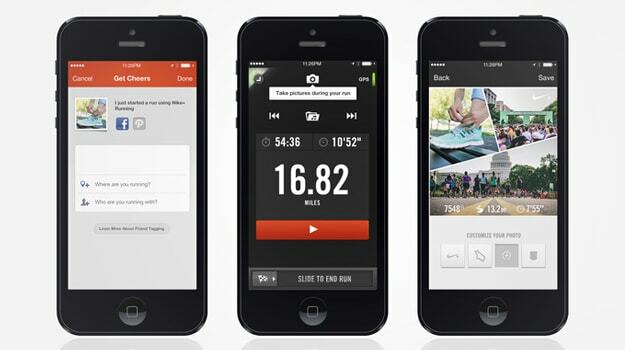 Along with the launch of the next-generation Fuelband, the Swoosh announced today some significant updates to its Nike+ Running App for iPhone. Effective immediately, users now have the ability to share photos from before, during, and after their run with friends through various social media outlets, including: Facebook, Twitter, Instagram, and Path. In addition, the latest update will allow runners to pause their workout when needed, and pick up where they left off for a seamless transition. The new Auto-Pause feature uses GPS technology to detect when the runner has stopped and automatically pauses the workout. When the app comes to a pause, the camera feature will open to enable photo taking. These new updates are seemingly ideal for runners who like to show off their gear, and like to flash selfies on the daily. Don’t worry, if you’re not feeling the Auto-Pause feature, it can be turned off in Settings.